'Dot Matrix' © 2018 is a small encaustic wax painting on wood. It measures 14 x 14 x 2 inches deep including the frame. Ships securely in a box ready to install. 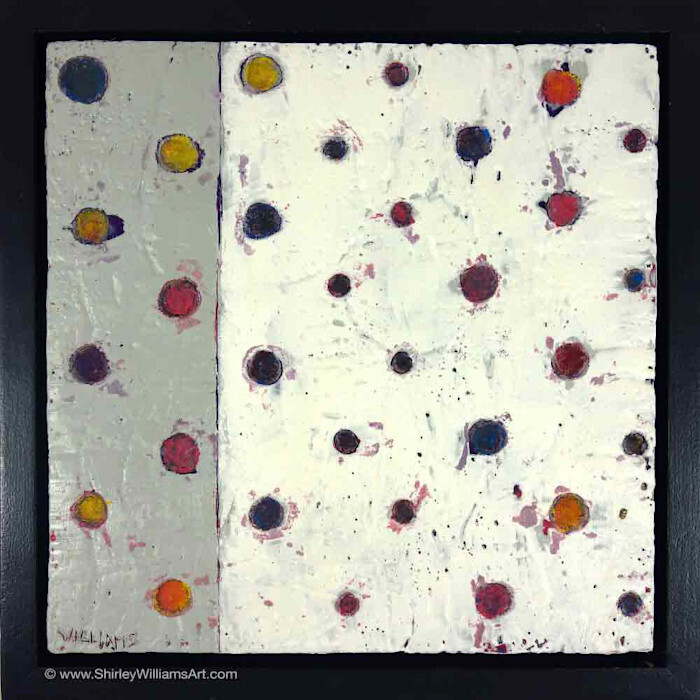 This is one of a short series of small encaustic works. They were inspired by my recent desire to experiment with the notion of bringing to the surface what is hidden. They were created by melting through multiple layers of colors beneath the simple grey and cream surface.